Greetings singing teacher from all over the world and I hope you’re having a very good World Voice Day! What began in Brazil in 1999 has now been spread across the globe and today there will be 311 events, celebrating the voice in all its various guises, taking place in at least 43 countries,which I’m sure we can all agree is a fab achievement. For more information on World Voice Day you can visit www.world-voice-day.org and see if there are any events that are taking place in your area and get involved! You can also check out other organisations such as the British Voice Association, and other national organisations local to yourself for more information. 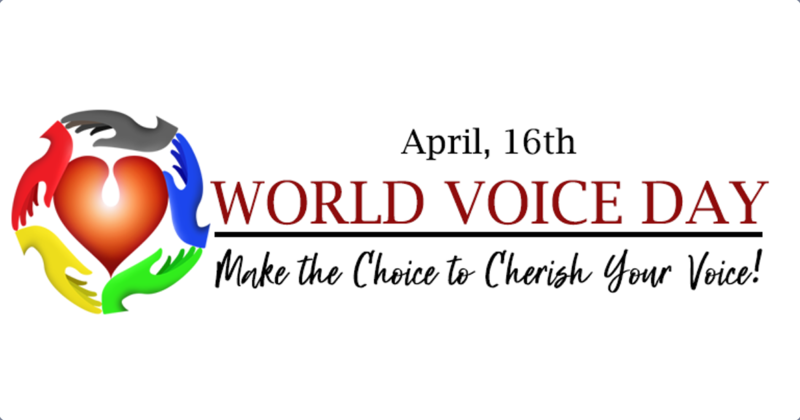 What should World Voice Day mean to us as singing teachers and vocal coaches? It could very easily be just another day on the calendar that completely passes us by, or it could be something that makes us pause and reflect on who we are and why we do what we do. Whether you are working in the upper echelons of our industry with the rich and the famous, or teaching pre-school children nursery rhymes, or organising sing-a-longs at a local nursing home, or using music as a therapy tool, or leading a church worship group, or local community choir, or like most of us, grafting away in your own private studios – why do we do what we do? And why is it important? I can only speak for myself of course, but here are a few of my thoughts. Everyone should sing. My two kids, who are only 7 and 5, sing all the time, and they don’t just sing “songs”, they just sing! It could be nonsense, it could be a particular word or phrase that they’re chewing over. It could be because they’re excited or nervous or even sad – it’s as though their brains need to express something and their developing vocabularies aren’t developed enough yet to allow them to articulate what they’re feeling or thinking and so they just sing. In a couple of years’ time, somebody; a classmate, a friend, a teacher, a family member, will point this out to them and it will silence them and they will conform to a social norm wherein people don’t just burst into song for the sheer hell of it. And that will be sad. And then puberty will kick in and although physiologically speaking that may be worse for my little boy than my little girl, the psychological effects of puberty can silence that urge to sing out as well, but hopefully their love for making and singing music will continue and they will continue to at least sing songs and enjoy singing forever. My kids are lucky in that they have two very musical parents who love to sing and will always encourage it. A lot of kids won’t necessarily have that encouragement and so singing will fade into the background or even away completely. Now just because an adult has a more developed and expanded vocabulary than a child, does that necessarily mean that words alone will be adequate enough to express their emotions or feelings? Probably not. Words are funny things that can be taken literally or metaphorically. They are heavily dependent on cultural norms and customs, and can be used just as much to hide emotions and feelings as to express them. They can reflect class, identity, gender, politics, ideology, tradition, religion, wisdom – a lot of stuff, both good and bad, and most of all (as I’m sure this blog post is reminding you) we can say a lot of words without really saying anything at all. Here’s where singing comes in. It feels true to me and reflects my existence. But how I wish that quote was entirely and universally true. We see many examples in society of many other things replacing speaking. How incredible would it be if Kristin Chenoweth’s quote was universally true and accepted? Would the world be a better place? Who knows. But this is where we come in (yay us). I did my Masters research in tone-deafness or persistent tunelessness as I prefer to refer to it as, and I discovered what I considered to be a fear of singing, or Adophobia, was present in many of the people that I worked with during my project. My job was to help these people to overcome that fear and rediscover singing, not as a profession or even a hobby, but as a thing that humans do. And this is what I believe is our greatest challenge or task, not to cater to the “elite” or those who can already and do sing (although both of these things are very important), but to facilitate or encourage singing as to be the norm. 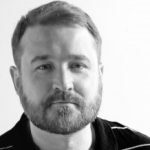 Dropping our labels and pre-conceived notions of what singing is, and helping people to rediscover their singing voices in all the many wonderful shapes and sizes that they’re going to present – allowing people the safety to explore without judgment.Are we going to create a race of perfect vocalists? No, of course not. There will always be some people who don’t fit the mould that society has created that defines a “singer”, just in the same way that not everyone can play pro-football or take part in the Olympics, but we may do a lot of good and flip the switch in someone’s head that allows them to simply carry a tune around the house, sing at a football match, or get up and do karaoke or even join a choir, and that will be a brilliant thing. So, on this World Voice Day, these are my thoughts. I apologise if this is preachy in any way, and I’m certainly not saying for one moment that because I think a certain way then we all should. If you’ve read this blog and it’s made you think then I wonder if as a celebration of World Voice Day, you could post a comment in the BAST FB Group about why you do what you do? Maybe we could create a fab flow of encouragement that we can all read and celebrate and be inspired by as we go about our singing lives today.